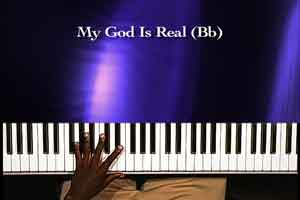 Buy and Download > Description My God is real is a very popular hymn. This download will teach you how to play and chord this song. My God is real is a very popular hymn. This download will teach you how to play and chord this song.